Approximately 1 oz. 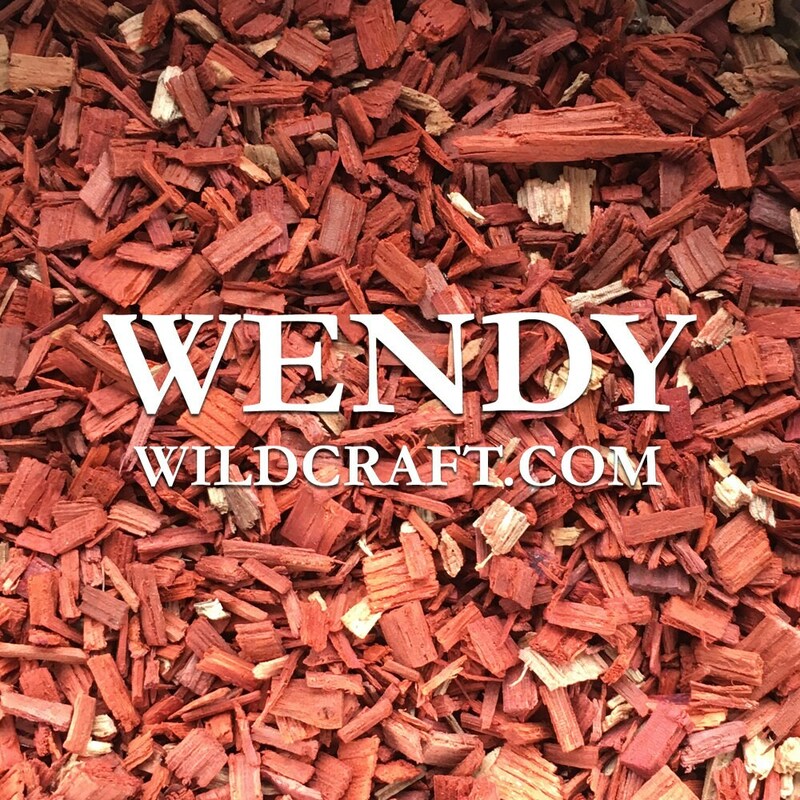 wildcrafted red sandalwood (Pterocarpus soyauxii). Red sandalwood can be used in incense, soap making and more. Perfect as always!!! Will be back! Can’t wait to try this for my next invocation. Thank you. Such great service. My order arrive at lightening speed. Prices are excellent and each generous little bundle of herbs very fragrant. I also liked the way it was packaged: with much care. I am already planning my next order! Thank you so much Ms. Wendy.